Callinex Provides Drilling Update for its Nash Creek Zinc Project - Callinex Mines Inc.
Vancouver, British Columbia – August 9, 2018 – Callinex Mines Inc. (the “Company” or “Callinex”) (TSXV: CNX) (OTCQX: CLLXF) is pleased to provide an update on its 2018 drilling campaign (the “Campaign”) at the Company’s 100% owned Nash Creek Zinc Project (the “Project”) located in the Bathurst Mining District of New Brunswick, Canada (See Figures 1 and 2). To date, nine drill holes have been completed to test targets located adjacent to the current mineral resources (See Figure 3 and Table 1). It is anticipated that an additional 13 drill holes will be completed as part of the first phase of the 2018 Campaign. The first batch of samples will be shipped for analytical testing within the next week. Additionally, the Company plans to commence a district-scale, 250-line km induced polarization survey (“IP Survey”) to identify potential for additional deposits that are located along a 20 km trend with previously identified high-grade mineral occurrences (See News Release dated August 21, 2017). The second phase of the 2018 drilling campaign will follow up on results from the ongoing Campaign and new targets derived from the 2018 IP Survey that is anticipated to commence shortly. A 2011 IP survey completed over the Nash Creek Deposit has proven to be the most effective method for targeting base metal sulphides. 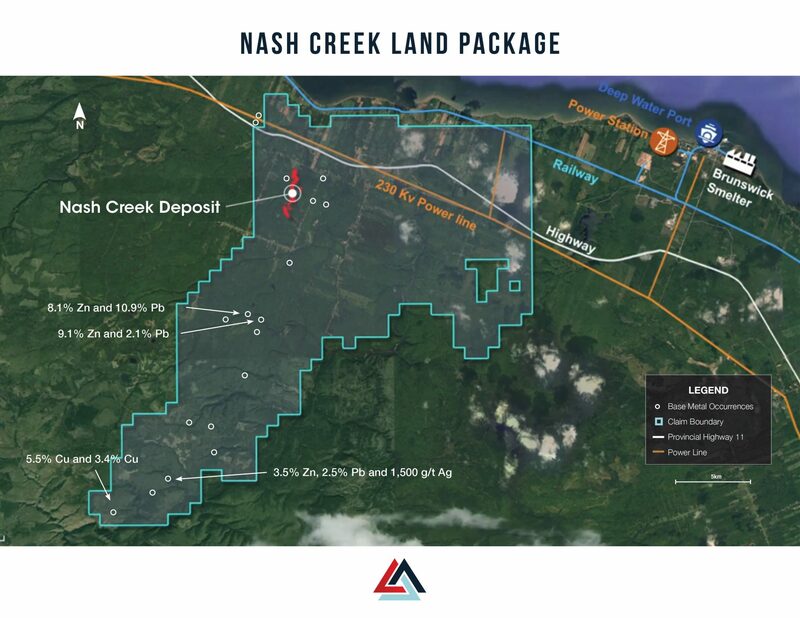 The IP survey was integral to Callinex’s initial 2017 exploration campaign that led to a major expansion of the Nash Creek Deposit with an increase in Indicated zinc equivalent (“Zn Eq.”) pounds by 74% to 963 million pounds and an increase in Inferred Zn Eq. pounds by 385% to 407 million pounds (See News Release dated April 16, 2018). 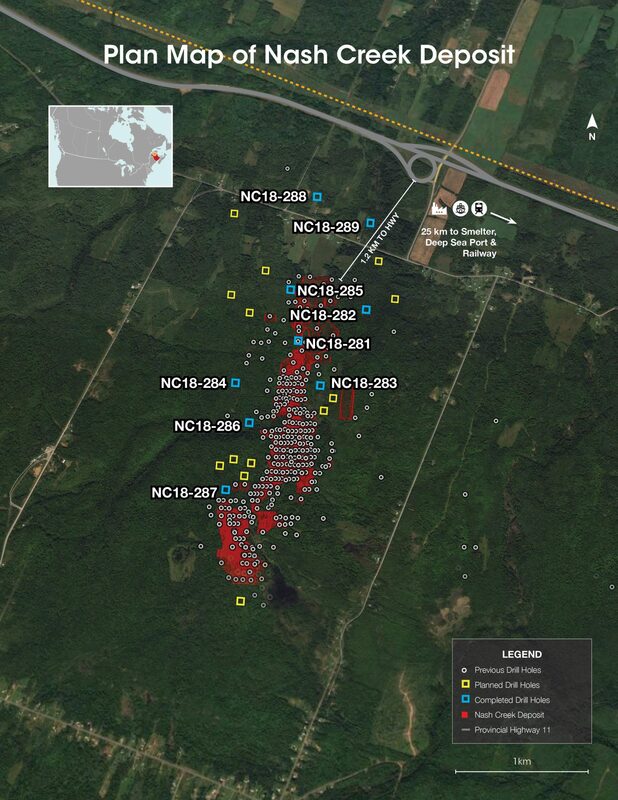 All of the IP targets that have been drill tested intersected either base metal mineralization or alteration associated with the Nash Creek Deposit. The maiden 2018 PEA outlined a high-margin, open-pit mine plan that generates a pre-tax internal rate of return of 34.1% and Net Present Value at an 8% discount rate of $230 million (See News Release dated May 14, 2018). The life of mine all-in sustaining costs (“AISC”) were estimated at approximately US $0.28 per pound of zinc produced, net of by-product credits (See News Release dated May 14, 2018). A two-minute overview video for the Nash Creek Project can be viewed by clicking here. J.J. O’Donnell, P.Geo, a qualified person under National Instrument 43-101 and a Consulting Geologist for Callinex, has reviewed and approved the technical information in this news release. Callinex Mines Inc. (TSXV: CNX) (OTCQX: CLLXF) is advancing its portfolio of zinc rich deposits located in established Canadian mining jurisdictions. 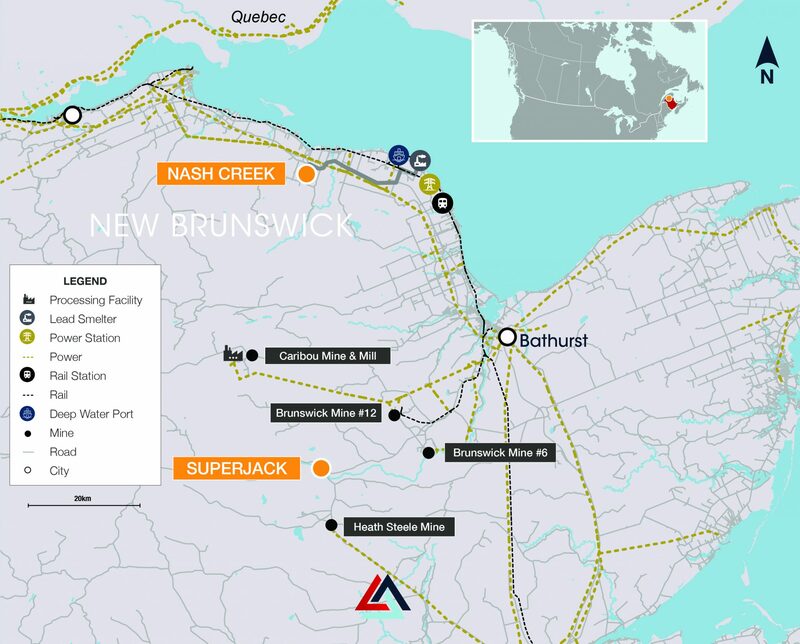 The portfolio is highlighted by its Nash Creek and Superjack deposits in the Bathurst Mining District of New Brunswick. A 2018 PEA outlined a mine plan that generates a strong economic return with a pre-tax IRR of a 34.1% (25.2% post-tax) and NPV8% of C$230 million (C$128 million post-tax). The projects have significant exploration upside over a district-scale land package that encompasses several high-grade mineral occurrences along a 20 km trend. Click here to view a video overview of the Nash Creek Project.